Fish Factory Art Space, Falmouth, Exhibition Light Object Light, March–May 2012. Included "Path", the video and book. 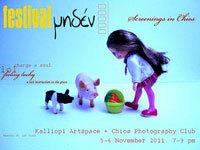 Festival Miden presents screening programs from the last edition of the festival in Chios, Nov 2011 Kalliopi Artspace. One Minute Volume 5 screening (as part of the London Underground Film Sessions) at The Horse Hospital, London WC1, August 2011. Ottica TV annual screening 2011, Better Bankside Centre, London. 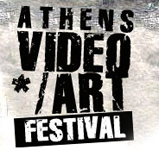 Greece’s biggest festival of digital arts and new media, the Athens Video Art Festival took place on 6th-8th May 2010 at “Technopolis”. It toured from May to September 2010 throughout Greece. 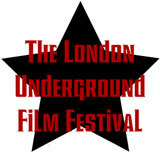 RQV4 was selected to be screened within the Video Art section of the festival. RSA-4 screening at the One Minute (volume 4), the fourth in the series of artists moving image programmes compiled by Kerry Baldry. One Minute volume 4 also screened at Moors as part of the Crouch End Open Studios. The programme toured to PRISM in Sheffield and then onto the BBC BigScreen in Liverpool and in Manchester, Contemporary Art Ruhr, Germany, Plymouth Arts Centre, and various other venues. "Elne" selected for "Location Location", an online exhibition of audio works exploring a specific place or enivroment. Feb -– March 2010. The Firestation, Windsor. Rivesaltes, screening. Feb-March 2010. Ottica TV: Annual Screening 2010. February 2010, at the Bankside Centre. Presenting the annual screening evening of 10 minute shorts, introduced by movie authors from the Channel. Ottica TV: High 5 2010. 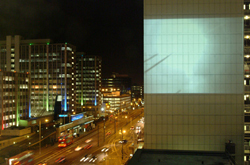 A five-day screening by contemporary art movie makers projected onto the south facing side of the building at the junction of Wellesley Street and Walpole Road in central Croydon. January 2010. 'High Five' is a screening project high up on the side of an office building in central Croydon and lasting for five days. The project will showcase approximately 15 works by movie authors resident on the Ottica TV contemporary art channel. Photo by Steven Scott: the screening location in Croydon. RQV2 screening at Oblong Gallery, January 2010. RQV2 selected for screening as part of ABSTRACTIONS, a programme of contemporary and classic video works that explore, celebrate or question cinematic abstraction. This programme is part of the FRESH festival of International Video Art and Short Film in Bangkok, Thailand, December 2009. RQV2 selected for Tenderpix Experimental Show Reel, July 2009 as part of Rushes Soho Shorts Film Festival, London. A limited edition DVD was released of the Show Reel. Film selected to be screened at the Synch Festival, Athens, festival for innovative music, moving image and new media, June 2009. Synch's Moving Image section aims to present and promote works by audiovisual artists that go beyond the conventions of narrative cinema. RQV2 and RS-A3 selected to be screened at the Athens Video festival, May 2009. Place, Identity, Memory, an exhibition of artists books at Gracefield Arts Centre, Dumfries, organised by the IRIS group, May - June, then touring Scotland throughout 2009. RS-A3 is screened on Little Song Films Network (Independent Short Films) in the Video Art category. Blog on Rivesaltes project featured. Excerpt from RQV video series selected for Road Movie, Frieze Films 2008. Screened at Frieze Art Fair. Road Movie shown on Channel 4's Three Minute Wonder. War & Peace, an Arts Council funded project, screening videos on the theme of war and peace. RQV2 was included in the programme. 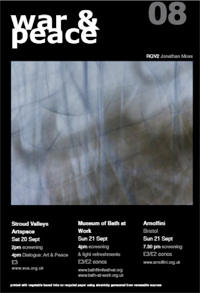 Screenings took place at The Arnolfini, Bristol and Stroud Valleys Art Space, 2008. Image from RQV2 used on publicity (see left). 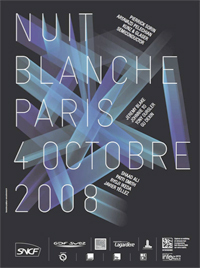 Optica, The Gijon International Festival of Video Art took their 2007 programme on tour, including participating in Nuit Blanche in Paris in Oct 2008. One of the Rivesaltes (Shoah) series was included. Interview about Rivesaltes project on podcast as part of the screening Surveillance (2008), South Hill Park Arts Centre, Berkshire, UK. To read a review of Surveillance in Artists' Newsletter, click here. Review in Aesthetica Magazine on the Exhibition Punctum, The Video Art Gallery, December 2007.